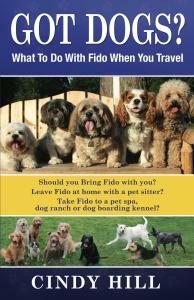 At Mystic Mountain Pet Retreat we love and care for dogs, cats and pets while their parents are traveling or busy. 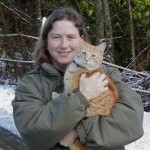 Cindy and Brad Hill provide custom dog boarding and holistic cat care and are located on our 5 acre ranch outside of Monroe, Washington. Mystic Mountain Retreat has been caring for guests since 2005. Guests come from all over the Puget Sound area; including Seattle, Bellevue, Kirkland, Redmond, Bothell, Duvall, Everett, Snohomish, Monroe and beyond. 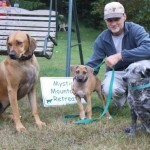 Mystic Mountain Pet Retreat specializes in older, puppies, rescued, allergies, special needs, timid and happy & healthy dogs, cats and pets. Cindy and Brad have been caring and loving animals all or their lives and feel honored to care for your fur kids during your trips. 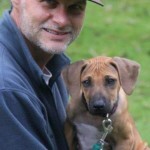 Always loved being with and caring for all kinds of animals, decided to move from corporate IT career to full time animal care in 2005. Rides horses and hikes with Weya, Zahra & Sierra when not caring for the Mystic dogs & cats. – click here to read the full story on why Cindy moved from Microsoft & Boeing to caring for animals full time. Weya & Zahra our sweet Ridgebacks, Sierra the Mystic Security guard Cattledog, Dozer our large gray kitty who checks out all cars, Polly-Anna our small gray kitty who is sweet, Topaz the orange senior who provides rodent control and Turbo who is fearless so watch for her around your pups; Chenoa and Luna-Daysii Cindy’s Equine riding partners; Coltan & Quincy our llama friends; the sweet doves who provide a soothing sound; Peach and Hugo the wild and crazy ferrets; all the fish & frogs in our pond; and our 12 Chickens for eggs, natural bug control and just fun to watch around the ranch. See stories about Olaf and Britches who sent Cindy on the path for animal care.